For booking contact: 9712977034Dress code? 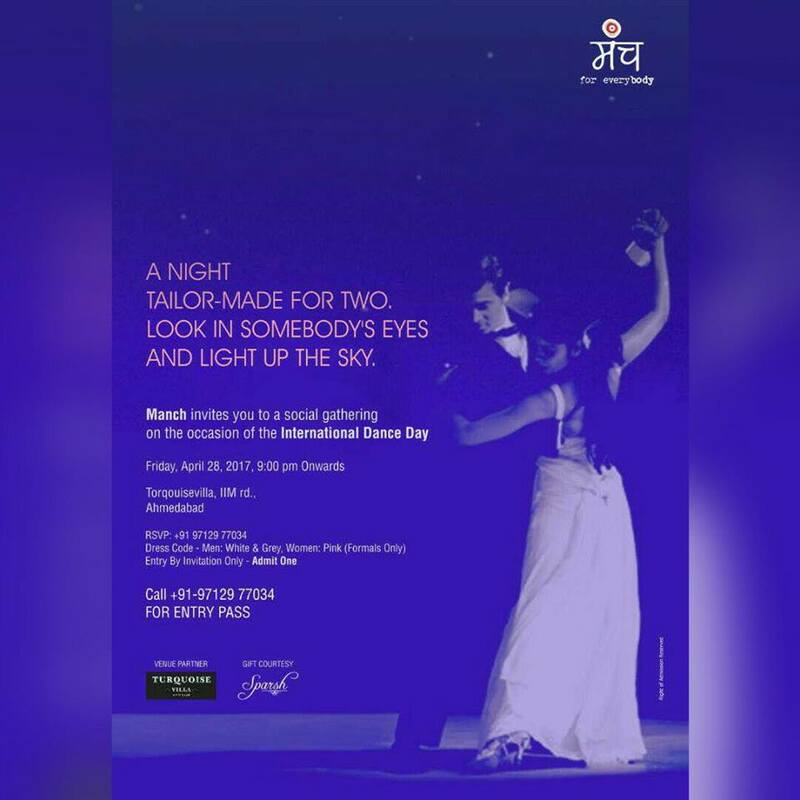 It is a dance social organised by MANCH every year, one day prior to the Dance day where everyone gathers up and grooves to the melodious numbers of Salsa, Jive, Waltz, Merengue, Cha-cha-cha, Rumba, Samba and Bachata. And have some mind blowing performances as well! !